The U.S. Navy maintained a base in Pago Pago, American Samoa from 1899 to 1951. 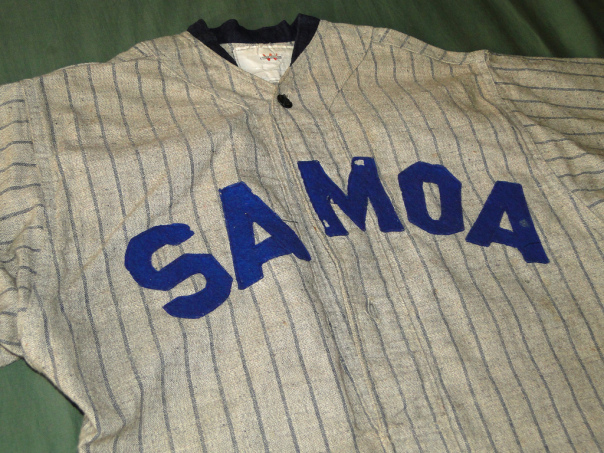 The lettering across the chest seems to indicate that the jersey was used by naval servicemen during the 1920s in Samoa (source: eBay image). Posted on May 9, 2016. Bookmark the permalink. Leave a comment. Enter your email address to follow Chevrons and Diamonds and receive notifications of new posts by email.